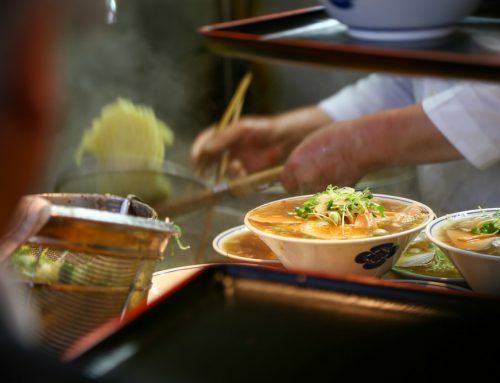 One of the best ways to explore Japan is via the Shinkansen or bullet trains. It offers a unique train ride experience that you cannot get anywhere else in the world. It is world-renowned for its punctuality, super fast speeds, and efficiency, as well as cool and slick style and occasionally, themed car designs. 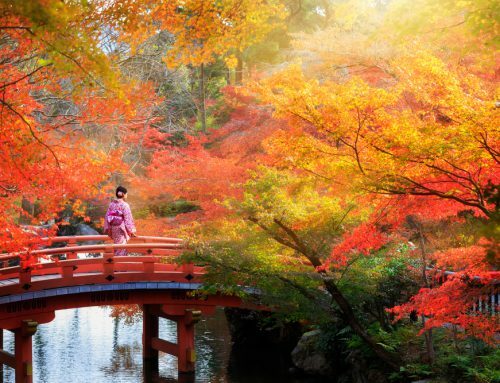 Let’s say your itinerary includes a round trip between Tokyo and Kyoto, and a day trip from Kyoto to Himeji within a 7-day period. 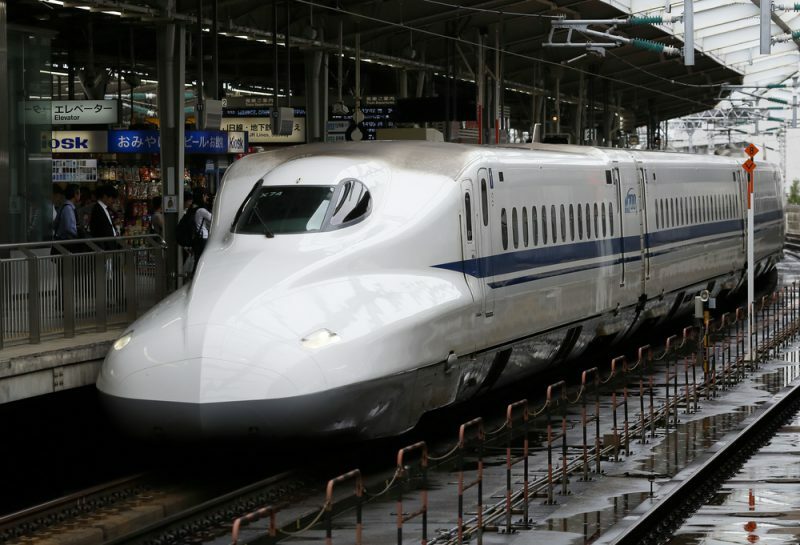 A round trip Shinkansen ticket (with reserved seats) for a Tokyo-Kyoto trip costs 28,220 yen, and a round trip Shinkansen ticket (with reserved seats) for a Kyoto-Himeji trip costs 10,940 yen. Adding up all of these Shinkansen expenses, you get a total of 39,160 yen. 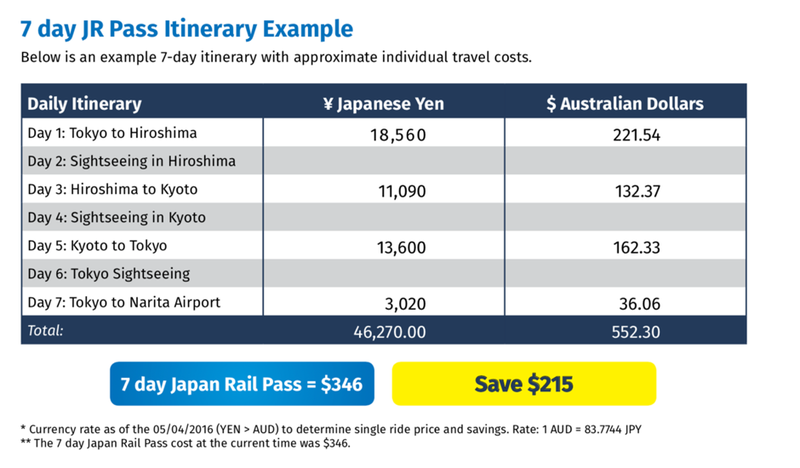 This means purchasing an ordinary 7-day Japan Rail Pass, which only costs 29,110 yen, to cover your journeys would save you around $120AUD. 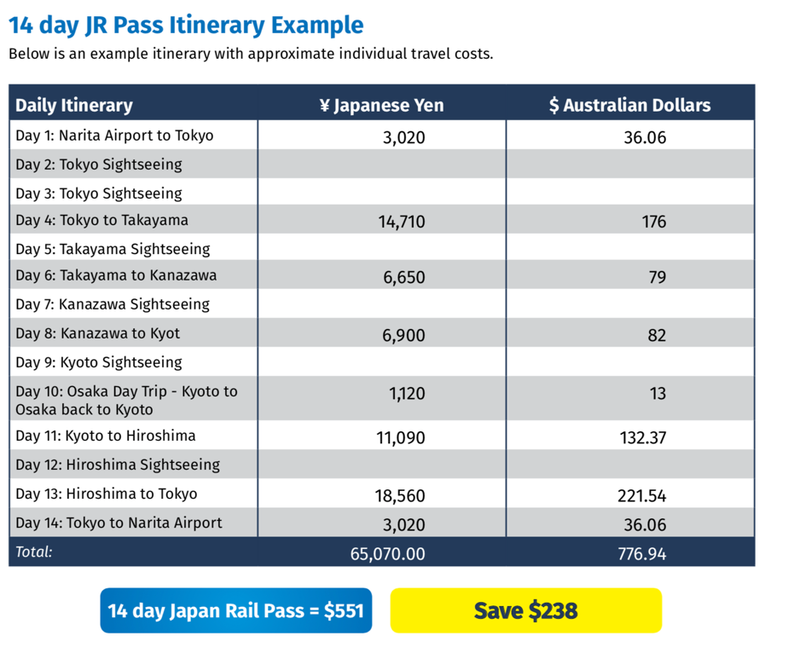 The table below shows the current prices of the different types of nationwide Japan Rail Passes. 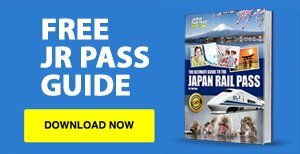 Is the Japan Rail Pass right for your trip to Japan? 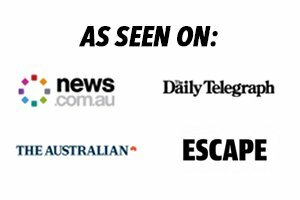 The easiest way to figure out if it’s worthwhile is to use the planning your trip section our website, put all your travel legs + costs together and calculate if it’s ultimately cheaper. 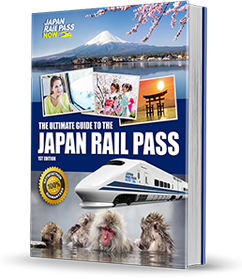 You can also use a Japan Rail Pass calculator here for a basic summary. 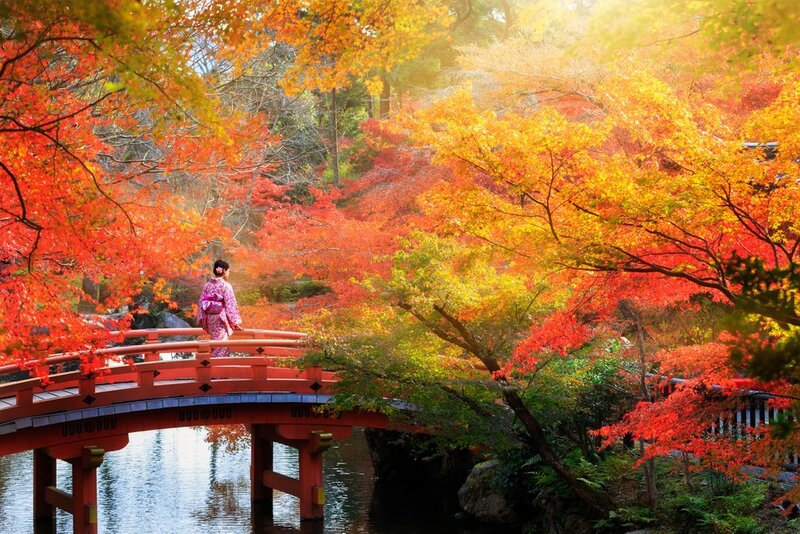 ** The 7 day economy adult Japan Rail Pass cost at the current time was $346. 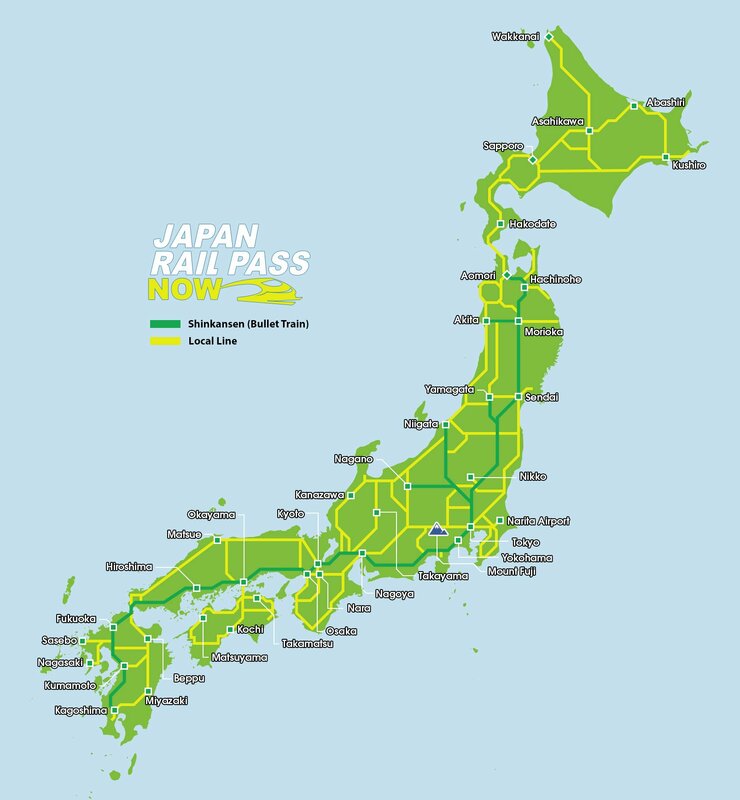 ** The 14 day economy adult Japan Rail Pass cost at the current time was $551. 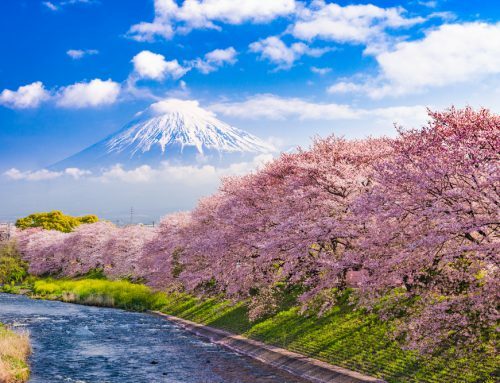 The Japan Railways Company operates all over Japan — from Sapporo in the north to Fukuoka in the south, from Gifu in the west to Sendai in the east. 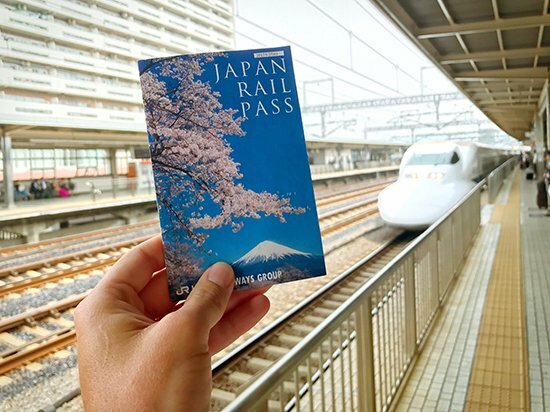 With your Japan Rail Pass, you can make use of most JR-operated transportation lines, including the Shinkansen, local trains, rapid trains, express trains, and limited express trains. 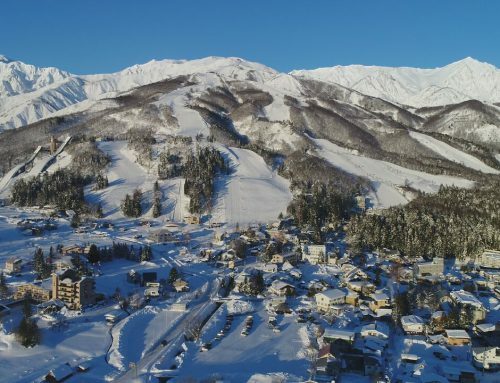 Moreover, it is valid on the JR local buses in Sapporo and Hiroshima, and the JR buses going to Lake Towada and Kusatsu Onsen. 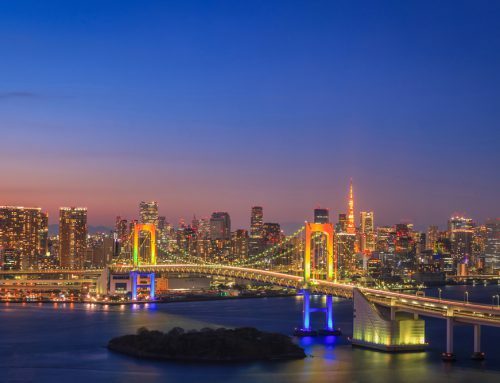 It also covers the JR Ferry that connects Hiroshima and Miyajima, and the Tokyo Monorail that runs to and from Haneda Airport. 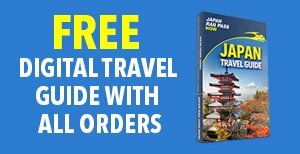 Upon exchanging your rail pass/exchange order voucher at a JR ticket office, a staff member will ask you to choose your starting date for the pass. They will then print your selected starting date and end date on the pass. 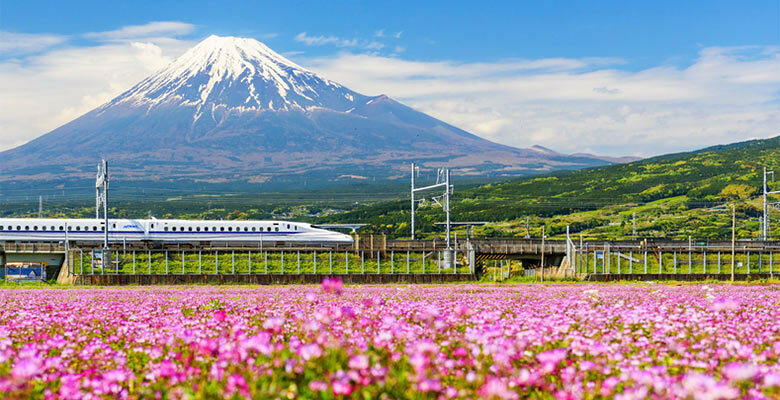 From the date of activation until the last day of validity, you can ride the Shinkansen and other JR-operated transportation lines around Japan as many times as you want. 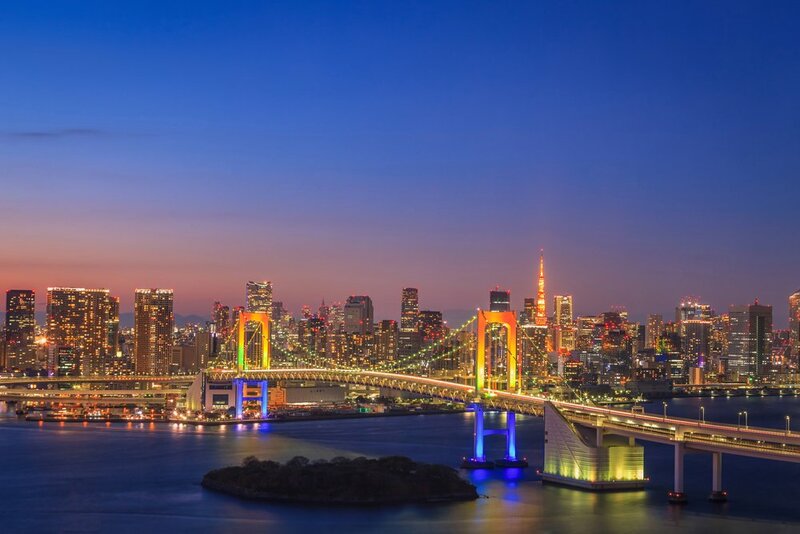 In addition, with a JR Pass, you can make spontaneous trips to places not originally in your itinerary, recommended by locals or fellow travelers you meet at your hotel, and not have to deal with additional transportation expenses. In Tokyo, Kyoto, Osaka, and other tourist cities, queuing at ticket offices and ticket vending machines to buy train tickets can be a pain. Lines are often long and packed with tourists having a hard time figuring out how to operate the machines. But, if you have a JR Pass you can skip this part of the train travel process. 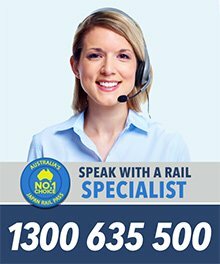 You can simply head straight to a manned ticket gate, show your pass to an attendant, and walk to your correct train platform and jump in an unreserved train carriage. 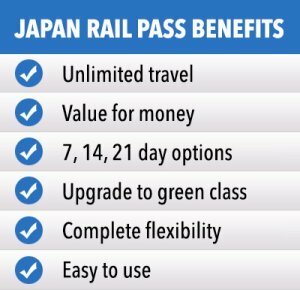 There are no complicated steps involved in using the JR Pass. 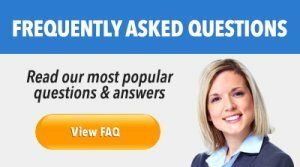 When you arrive at a train station simply look for the manned ticket gate which is typically found at the leftmost or rightmost end of the row of turnstiles. 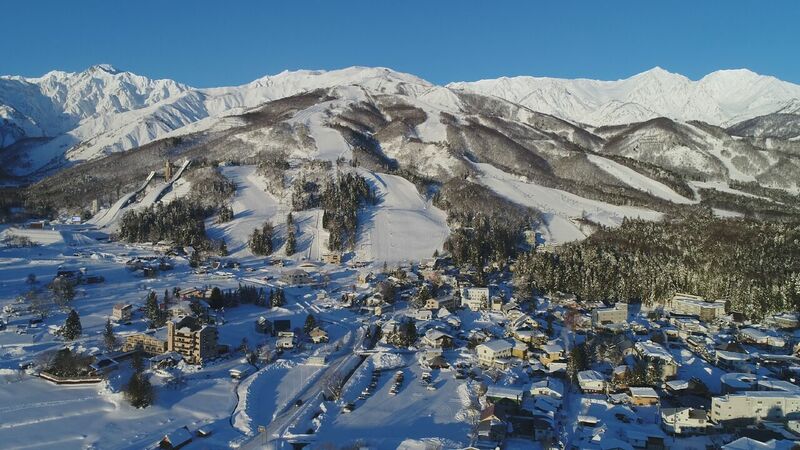 Get your JR Pass ready, and present it to the staff there. Make sure to show them the page where the validity date is printed. That’s it! It only takes a few seconds; you can then make your way to the platform to wait for your train. 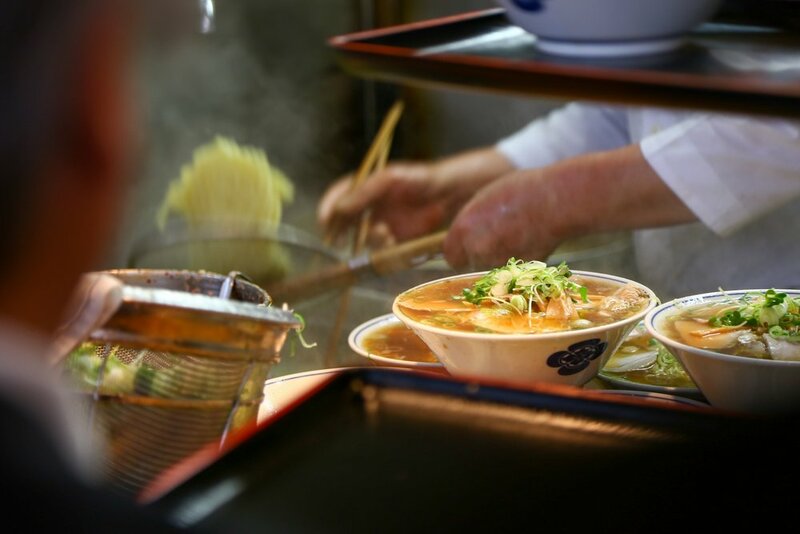 Did you know that the Shinkansen or bullet train can run as fast as 320 kilometers per hour, and has an annual average delay of only 54 seconds? Thanks to its ultra-fast speed, it has significantly shortened travel times between cities. 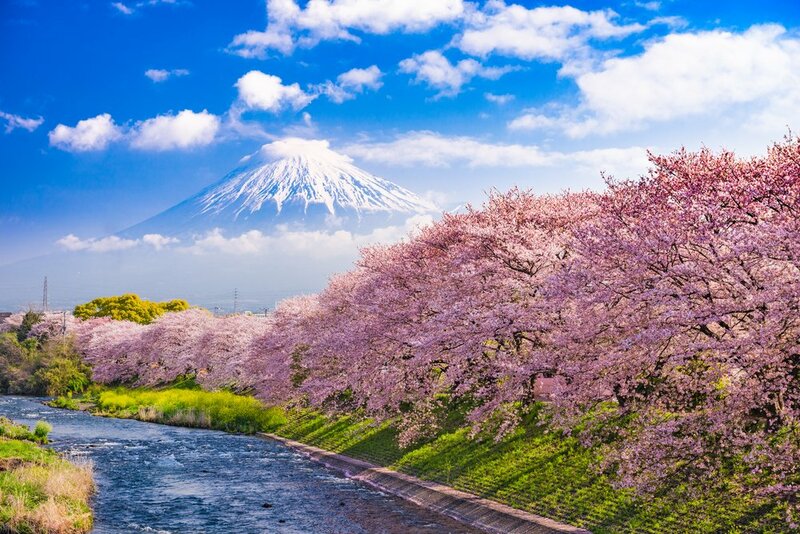 For example, the eight-hour trip between Tokyo and Osaka via regular trains or buses only takes 2 hours and 30 minutes via the Shinkansen. Also, because it very rarely arrives or departs late, it allows you to make plans down to the last minute. Just remember to be at the train station early, especially in the bigger stations like Tokyo Station and Kyoto Station, to have enough time to find the right gate and platform. Navigating the many corridors, passageways, and floors of these multi-storey, mall-like train stations can be quite overwhelming and confusing at times. And if you miss your train, that’s no problem at all since the Japan Rail Pass has unlimited travel and you can just jump on the next available train.